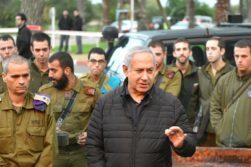 PM Netanyahu at IDF Northern Command HQ. Photo courtesy of Kobi Gideon (Israeli GPO). Iran is working on missiles that are “capable of delivering nuclear weapons” and can reach parts of Europe and the entire Middle East, United States Secretary of State Mike Pompeo said on Saturday. 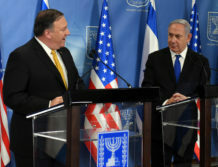 Pompeo, in a statement released by the State Department, said the Iranian regime had “just test-fired a medium range ballistic missile that is capable of carrying multiple warheads.” Israel, Saudi Arabia and other Middle East nations are among the enemies of Iran within the missile’s range, and Pompeo said “parts of Europe” were within scope of the latest missile test. 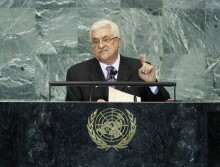 He said the activity opposes the authority of the powerful United Nations Security Council. “This test violates UN Security Council resolution 2231 that bans Iran from undertaking ‘any activity related to ballistic missiles designed to be capable of delivering nuclear weapons, including launches using such ballistic missile technology,’” said Pompeo. Another Middle East briefing was delivered to the powerful United Nations Security Council focusing on the Israel-Palestinian conflict, but United States Ambassador to the United Nations Nikki Haley said it was “very incomplete” because it left out a key threat not just to the region, but the world: Iran. “While this Council remains focused on the conflict between Israel and the Palestinians, it ignores other very serious conflicts in the Middle East,” said Haley on Monday. Haley, whose comments were published by the US Mission to the UN website, proceeded to list not one but two foiled Iranian terror attacks in Europe in recent months that targeted political opponents. 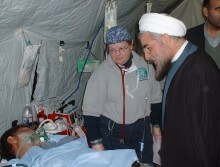 She also noted that Iran backed an attack against a US consulate in Iraq and has supported violence against Israel, a fact among many that recasts Israel’s war with terrorists in Gaza as not just another dispute. “You also cannot escape the fact that the group responsible for the rocket attacks [against Israeli civilians]— Palestinian Islamic Jihad—is an Iranian supported group. 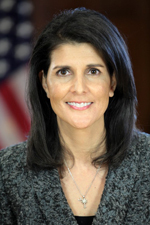 The PIJ is yet another terrorist proxy that Iran calls on to stoke violence and instability in the region,” said Haley. The US representative argued that these acts of malignant behavior are not isolated incidents for the Iranian regime. Israeli Ambassador to the UN, Danny Danon, praised Haley on Twitter for her words. “Thank you to Ambassador @nikkihaley for, once again, revealing the #truth that there is no such thing as ‘two sides to the conflict,’ there is Hamas that fires missiles at civilian populations, and there is #Israel that protects its citizens. Thank you for standing by Israel!” he tweeted. 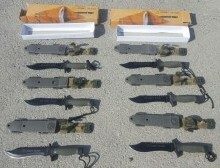 Even Israeli police stations aren’t safe from terrorism, as a knife-wielding assailant chose just such a location on Wednesday night to stab four Israeli police officers in the Armon Hanatziv station in Jerusalem. Israeli police spokesman Micky Rosenfeld said on Twitter that the four officers were lightly injured and that the terrorist had been arrested. A separate tweet showed a group of counterterrorism police units on the scene. While reports of a ceasefire between Israel and terrorists in Gaza indicate things are calming down in the south of Israel, Wednesday’s knife attack served as a stark reminder that terrorist efforts to wound and kill Israelis are a threat always—and in any place.